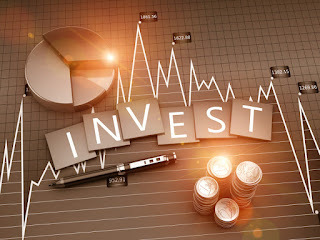 David Winters Investing Blog: The path to passive income is investing! Most people work day by day at work and at the end of the month they give out the money they earn or transfer it to a card. Others have several types of income or several part-time jobs. Their income depends on the ability to work and the amount of work done. The smartest earn money without doing anything physically. This type of income is called passive income. Interest from such income may accrue from deposits, dividends from stocks, deductions for business partnerships or fees from books and other products. For all people, the chances are almost equal to only some of them love security in the form of a monthly payment, while others have a freedom in which they can do whatever they want, and the money will still be credited to their account. The first steps to passive income are investing. At the initial stage, it will be difficult because, not knowing all the basics of investing, you can make a mistake and lose your money. This often happens with newbies who trust emotions and trust their money to scammers, who in turn are looking for naive and inexperienced investors. You can start investing from a small amount and invest at least 10% of your income every month. After a few months, you will have developed a habit and it will not be so difficult for you to invest money as at the beginning. It is also important to learn and learn about new ways of investing. Over time, you will learn to invest in assets such as stocks, business, commodities, or gold. After a few years of intensive investment, your passive income will only grow, and you will work less and less or you may stop working at all. While others were spending money in bars and watching television, you invested and trained. Now the other person works further, and you get income, and spend your free time as you wish.